How does the space fit your living needs? There doesn’t seem to be a lack of dreams when it comes to designing a home. From the beautiful interior design magazines to endless photos on Pinterest, inspiration is everywhere. 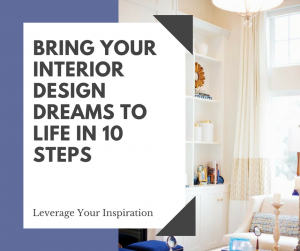 So if people have interior design dreams, what is keeping them from coming to life? The answer to this question is, of course, different for everyone, but there are universal strategies that can help bring these dreams to life. Take the time to walk through your home and determine the year-round activities for each room. Start by asking yourself, “How does the space fit my living needs?” When inspecting each room, pay careful attention to the changes that you would like to see in the functionality of each space. Does the space fall sort, and if so, what else would you like to see in it? What could be added or removed to really make it the perfect room – to bring your design dreams to life? If you’re ready to take the next step it’s important to remember that the difference is in the details. Being aware of these minute details will help you transform your home into not only a functional space but also a beautiful one. What objects and hard finishes are going to stay in the room? Do you want the space to adapt to your lifestyle? What mood would you like to promote in a given space? What are your color and style preferences for a particular space?